● Kyle Buschstarted first, finished fifth. 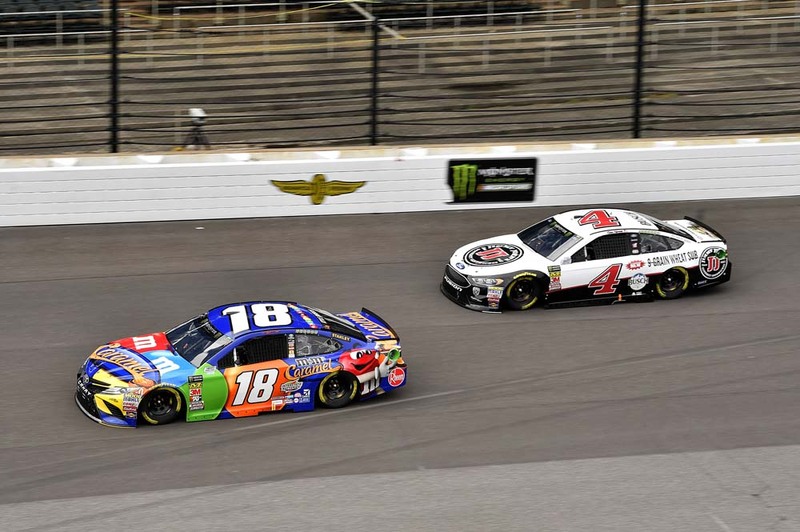 ● After the race was delayed a day because of persistent rain, Busch rolled off the grid in first by virtue of his top position in the driver point standings with qualifying also getting cancelled because of rain. 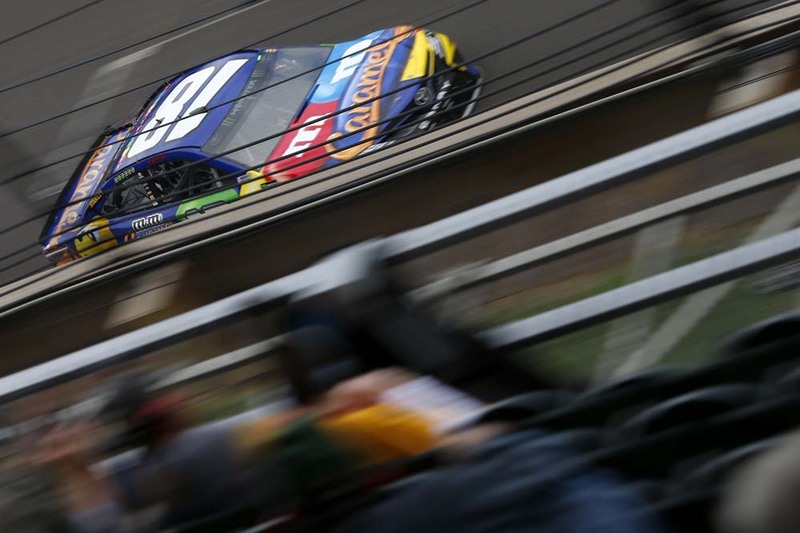 ● Busch held the top spot until the first competition yellow on lap 10. 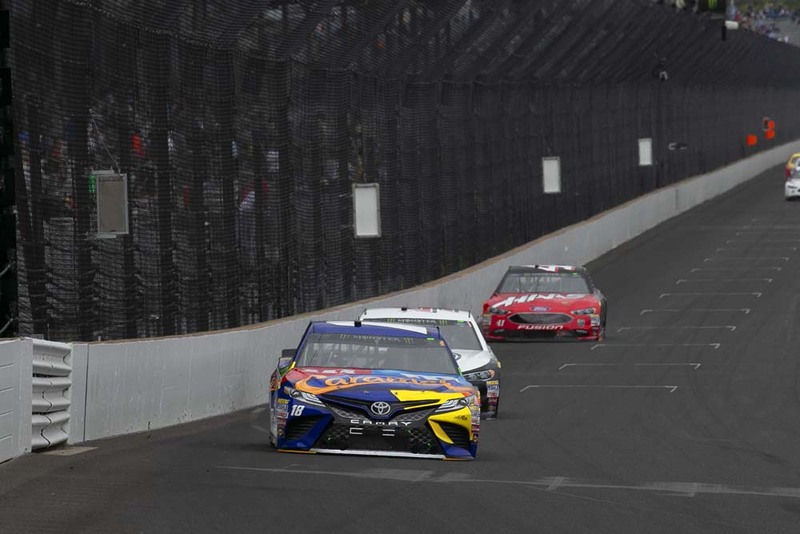 Denny Hamlin stayed out and Busch pitted, slotting him in second behind his Joe Gibbs Racing teammate on the ensuing restart. ● The 2015 Cup Series champion held second until the caution waved on lap 31 and he pitted on lap 32. Crew chief Adam Stevens ordered a four-tire stop and a wedge adjustment. With other cars pitting before the second competition yellow, Busch slotted in seventh on the lap-34 restart. ● Busch moved his way up to fifth and finished the stage in that spot. ● Busch started first, finished 24th. ● Busch stayed out at the first stage break. With the four cars that finished Stage 1 ahead of him coming down to pit road for service, Busch inherited the lead. ● The 2015 Cup Series champion pitted on lap 68 and was shuffled back in the pack, restarting 28th on lap 70. However, he quickly moved up through the field, making it into the top-15 by lap 83, top-10 by lap 91 and top-five by lap 97. ● As the stage ran down, Stevens decided to call Busch to pit road before the end of the stage so he could leapfrog the cars that would pit at the end of Stage 2. 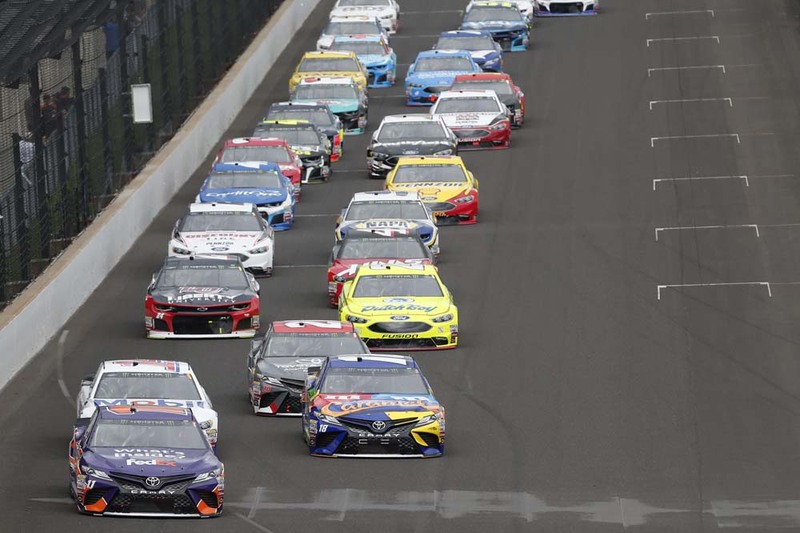 ● But as Busch headed to pit road, leader Matt Kenseth made it to the start/finish line before Busch could pass the commitment line in time to enter pit road before it closed with two laps to go in the stage. 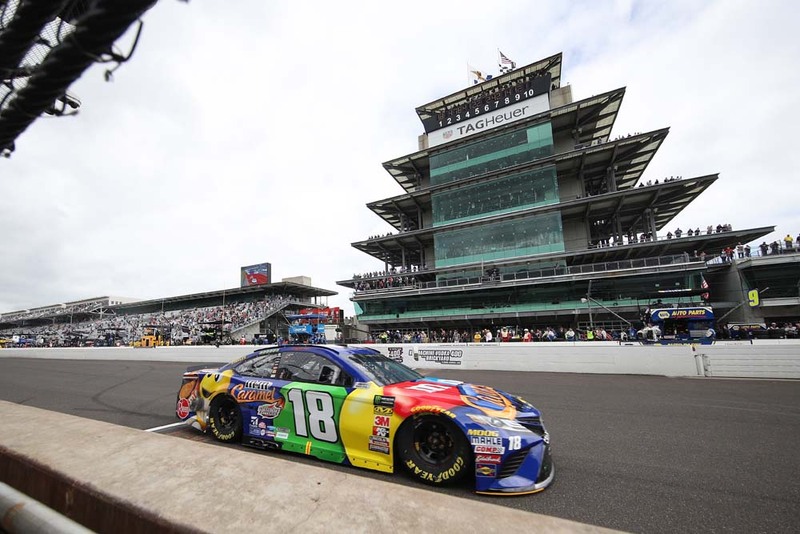 The No.18 team was then penalized for pitting too soon, sending Busch to the rear of the field for the ensuing restart of Stage 3. ● Busch started 27th, finished eighth. ● Busch restarted 27th because of the penalty, but he quickly moved back up through the field. He found himself up to 16th on lap 116, just 10 laps after the restart. ● More bad luck struck the No. 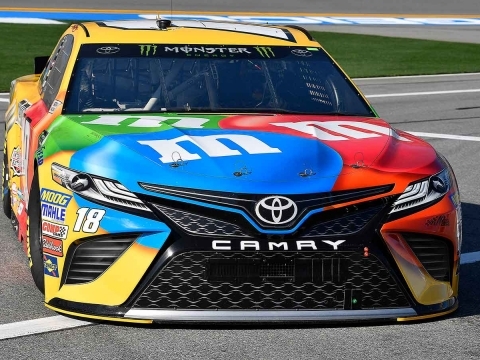 18 team when Busch radioed to Stevens and the M&M’S Caramel team that he felt a right-rear tire issue and would need to pit. Busch pitted four laps before the fuel window and went a lap down, sitting in 23rd on lap 127 following the pit stop, hoping for a caution to get him the Lucky Dog and back on the lead lap. ● After the rest of the leaders made pit stops, Busch caught the break he needed with the caution flying on lap 144’ He pitted on lap 145 and restarted in 13th with 13 laps remaining in the race. 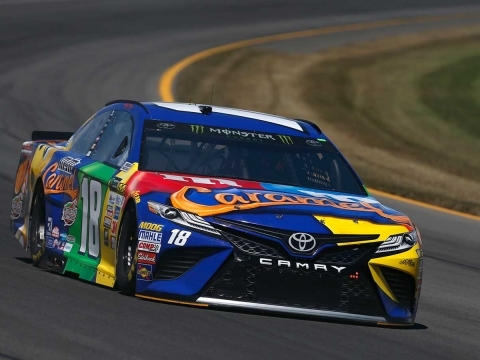 ● While Busch gained spots over the course of two final restarts, he could only make it up to his final finishing position of eighth. ● Busch clinched the NASCAR Cup Series regular-season championship with his eighth-place finish on Monday. Busch will start the playoffs next week at his hometown Las Vegas Motor Speedway as the No. 1 seed in the playoffs. ● With the 15 playoff points added as the regular-season champion, Busch and second-place Kevin Harvick will both have 50 playoff points they can carry throughout the playoffs, which could play a pivotal role in making it to the championship race at Homestead-Miami Speedway in November. ● This is Busch’s 12th appearance in the playoffs, with the M&M’S Caramel driver being the 2015 series champion. How does it feel to win the regular-season championship? How do you feel you’re going to kick off the playoffs? Next Up: The next event on the Monster Energy NASCAR Cup Series schedule is the South Point 400 on Sunday, Sept. 16 at Las Vegas Motor Speedway. The race starts at 3 p.m. EDT with live coverage provided by NBCSN.